This is ARP 2600 and ARP 3620 duophonic keyboard is now ready for another 40+ years of spectacular sound and music creation. It is in stunning operational and visual condition. 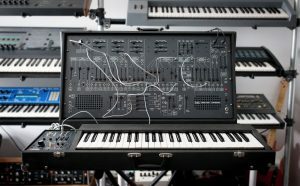 Comes with all the unique original ARP accessories: price lists, demo records, leaflets, user manuals, portamendo pedals etc as seen in the pictures #2 and onward. The ARP 2600 is one of the most legendary analog synths every made. Everything from crazy sound effects, Earthquake style base lines, beautiful leads and potent kick drums, the 2600 can do it all.